The weekend provides an intimate space for women to come together to share, to refresh, and to have a BLAST!. The retreat offers you expanding opportunities for personal, professional growth and to flourish in being the 'Elect Lady' you were chosen to be. Through our diverse and influential roster of dynamic women and speakers, our "No Make-up Allowed" bonding activities, networking opportunities, beach side breakfasts, native island gatherings and a breath-taking yacht experience...you will leave REVIVED. 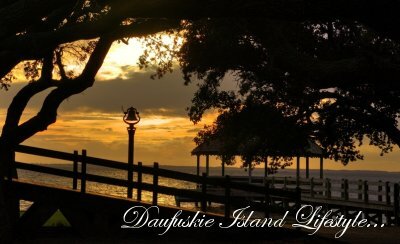 The retreat is located on Hilton Head Island and the historic Daufuskie Island, which faces the Atlantic Ocean and boasts views of Tybee Island and historic Savannah, Georgia to the south and the famous Harbour Town Lighthouse in Hilton Head, South Carolina to the north. Upon arrival via ferry boat, you will instantly transported into a relaxing world of Southern hospitality and elegance. Whether playing on our world-class golf course, dining during oceanfront activities or taking a stroll on our pristine beaches, you will enjoy. Choose your registration which includes meals and activities. Single and double accommodation are available first come, first serve. Don’t miss this opportunity to let your hair down, to kick off your heels while sharing and growing with women of all generations and cultures. Also, inquire about the One-Day Saturday Pass, as well as, The Gullah Experience which is open to non- retreat attendees...that includes men. Come be refreshed, be empowered and be transformed! Contact us in need for more information. Space is limited. Book Now.